Also Thursday, World Health Organization flu advisers meeting in Australia recommended updating future vaccines for the Southern Hemisphere to strengthen H3N2 protection. Flu does constantly evolve, forcing new vaccine to be brewed each year to match the strains specialists expect to cause most illness. In the U.S., CDC’s Jernigan said this year’s shots aren’t perfect — but that the H3N2 strain traveling around the globe hasn’t significantly changed, so the vaccine remains a pretty good match. “It’s the best tool we have right now for preventing disease,” he said in an interview. Last year, three-fourths of babies and toddlers — tots ages 6 months to 2 years — were vaccinated. So were two-thirds of adults 65 and older. “I like to tell my patients, ‘You’re here complaining, that’s wonderful — you didn’t die,’” he said. 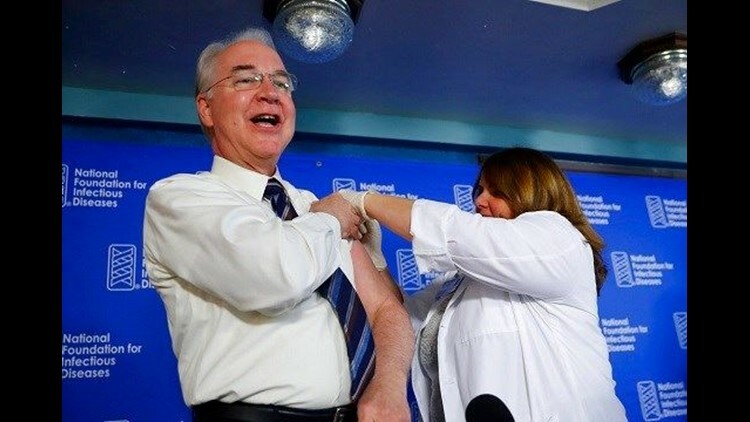 The regular flu shot comes in versions that protect against either three or four strains of influenza — including that problematic H3N2 strain, another Type A strain known as H1N1, and one or two strains of Type B flu. Ask your doctor or pharmacist about other options which are available for certain age groups. Two vaccine brands target the 65-and-older crowd. They’re especially vulnerable to flu’s dangerous complications because they tend to have more underlying health problems than younger people — and because standard flu shots don’t work as well with age-weakened immune systems. One high-dose version contains four times the usual anti-flu ingredient, while a competitor contains an extra immune-boosting compound. FluMist, a less ouchy nasal spray vaccine, once was popular with children. But last year, a baffled CDC said it was no longer protecting against certain influenza strains as well as regular flu shots — and told doctors not to use it. That’s the same advice this year: Youngsters will need a shot, just like their parents. And for kids between the ages of 6 months and 8 years who are getting a first-ever flu vaccination, they’ll need two doses a month apart.